This post is dedicated to two things – Costco and thighs. And by thighs, I mean chicken thighs. 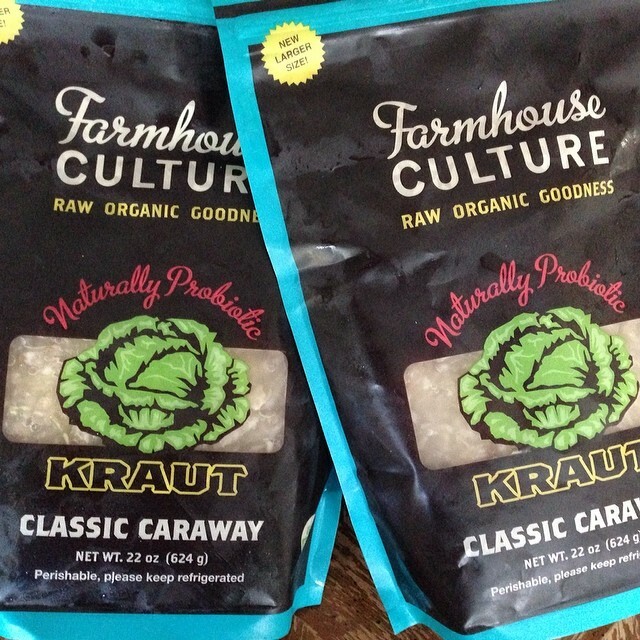 During my most recent trip to Costco, I stumbled upon a two pack of Farmhouse Culture sauerkraut at an amazingly low price of $10.99. Is this real life?! This stuff is so good, and normally costs $8.99 for one bag. SOLD! I love a good deal. I also picked up my normal pack of organic chicken thighs which brings me the next topic of this post, followed by a recipe! Chicken thighs are my go-to protein for lunch during the weeks. At the beginning of every week, I’ll make a big batch of shredded chicken in my crock pot and have it on hand for salads, wraps, or paired with veggies. It just makes life easier when you don’t have to stress about having healthy food options available when you need them. I must admit though, having the same ‘ol shredded chicken every week can get a little dull, so it’s good to have a back up. Using some of my favorite Paleo staples, I made a classic Spanish entree, pollo en salsa de tomate (chicken in tomato sauce). Flavor explosion! This is definitely Cave Girl approved. olive oil, for drizzling – I used a tbsp. to calculate the nutrition facts below. Preheat your oven to 375°(F) or 190°(C). Mix all the spices together and divide in half, but leave out the salt and pepper. Season the chicken thighs with the salt and pepper, to taste. Season the top side of the chicken thighs with half of the seasonings and drizzle with a little olive oil. Flip over the chicken thighs to the other side and repeat with the seasonings, then cover and let sit in the refrigerator for about 20 minutes to an hour. This method gives the chicken more flavor, but if you don’t have time, don’t fret! It’ll still come out tasty. pen the can of diced tomatoes and pour out half in your baking dish. 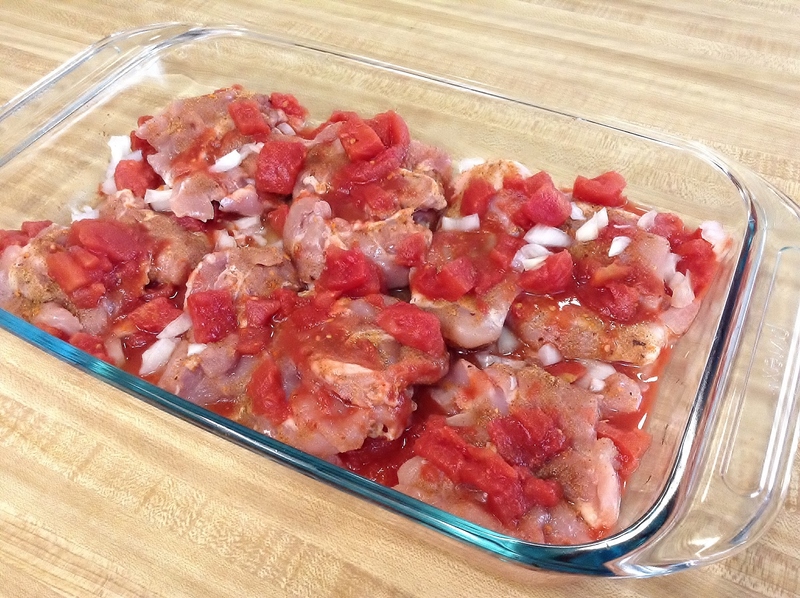 Place the chicken thighs over the diced tomatoes and then pour the rest over the chicken. Doesn’t that look pretty? Pretty delicious. 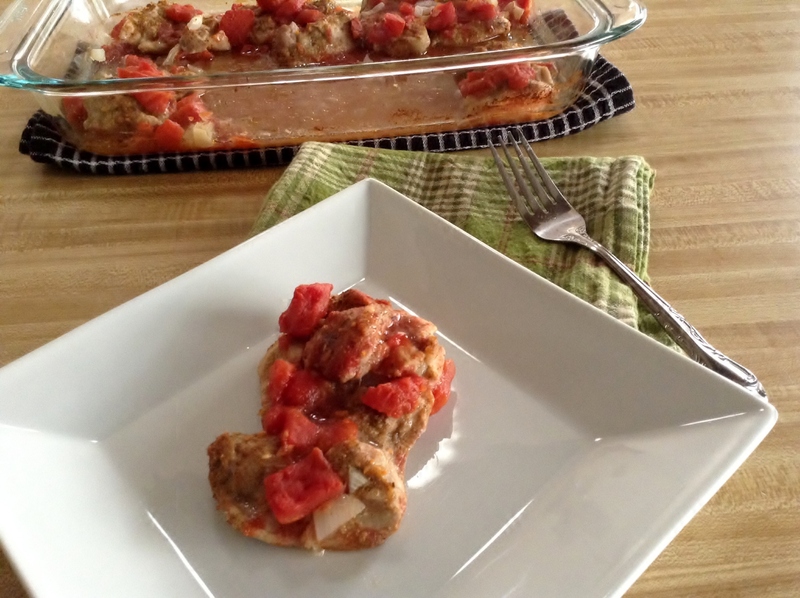 Bake the chicken thighs at 375°(F) or 190°(C) for approximately 25-30 minutes. You can include this with a family meal, or store in airtight containers for multiple individual weekday meals. The nutrition facts below were calculated using a total yield of 1.5 lbs of chicken thighs or 8 chicken thighs. Yields may vary depending on the size of the chicken thighs you purchase. If you are following a meal plan, please adjust your servings to fit your meal plan as needed. 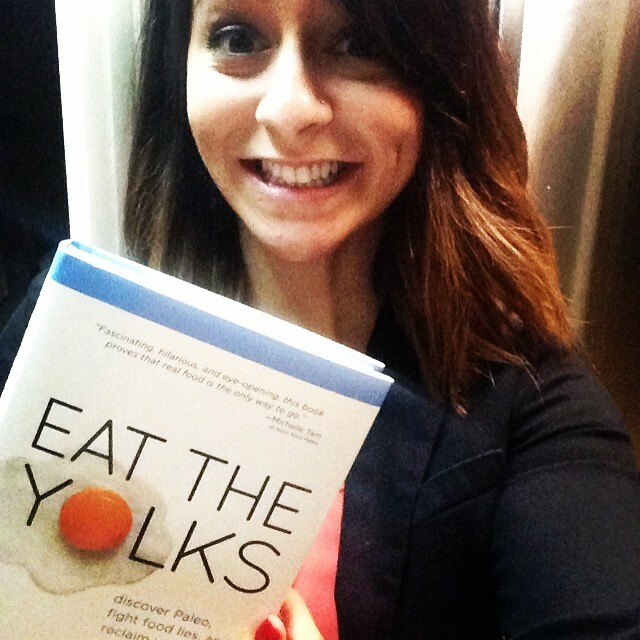 In other exciting news, I received my copy of Liz Wolfe’s new book baby, Eat the Yolks and I couldn’t be more excited! Liz goes into detail about eating the right foods for optimal health and reclaiming your health. Go grab a copy and enjoy this super fun read. Thumbs up! Enjoy the rest of your week, friends! Cave Girl out.